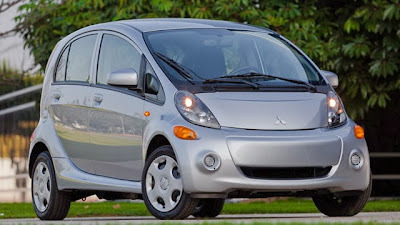 Mitsubishi Motors North America have announced the 2014 Mitsubishi i-MiEV electric-powered production vehicle not only receives an expanded standard equipment package but also sees a considerable price reduction of $6,130 over the previous 2012 model year vehicle. The 2014 model year Mitsubishi i-MiEV ES model including CHAdeMO DC quick charge port, battery warming system and heated side view mirrors now starts at only $22,995 – an astonishing $6,130 price reduction from the previous generation. After factoring in the Federal tax credit of $7,500, the net MSRP of the 2014 Mitsubishi i-MiEV drops down to only $15,495. With a net MSRP of only $15,495 after factoring in the available EV federal tax credit of $7,500 and, for example, with the California state EV financial incentive of up to $2,500 (other generous financial incentives are available through numerous states and municipalities), residents in California can obtain the technologically-advanced 2014 Mitsubishi i-MiEV for as low as $12,995.